So you’re thinking about your very first home purchase? So you’re thinking about your very first home purchase? That’s great! Let me help you out by explaining some of the lingo associated with buying a home. 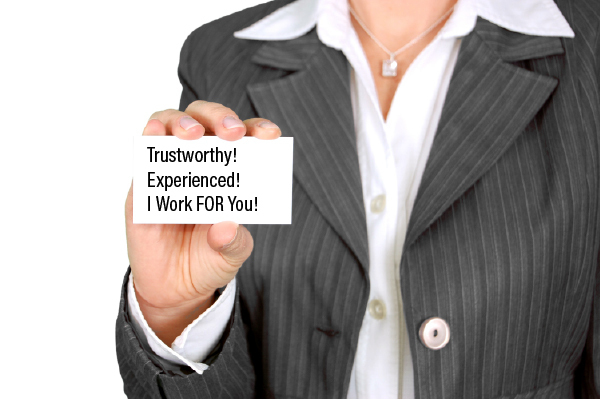 Real estate salesperson: Another name for a real estate agent, usually one that is not a designated REALTOR®. REALTOR®: A real estate broker or sales associate who is a member of the National Association of REALTORS®. This means that he or she must uphold the standards of the association and its code of ethics. Not all real estate agentsare REALTORS®. Offer: An agreement presented by the buyer to a seller to purchase real estate (purchase a home). This is also known as sales contract. In Illinois it’s called the Residential Real Estate Purchase and Sale Contract. Contingent: An offer on a home has been accepted, but a final sale is contingent upon certain criteria. (typically the appraisal, home inspection and/or mortgage approval). Temporarily off the market (TEMP): The seller/owner has removed the home for sale for an undetermined period, usually because of improvements/repairs. The intent is to return the home to active status. Closed: The home is sold and no longer actively for sale. Expired: The seller’s listing agreement with the agent has expired. Closing Cost: These are fees paid at the closing table, either by the seller, buyer or both. They include taxes, insurance and other lender expenses. Counteroffer: The rejection of the original/current offer on a sales contract, with terms for a new offer. This can come from the buyer or seller. 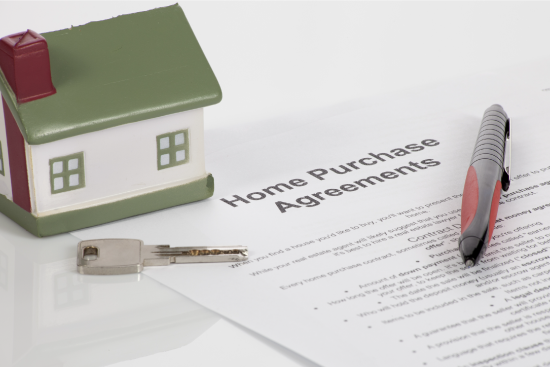 Once a counteroffer is made, the previous contract is no longer valid. CMA: Comparative Market Analysis. A CMA is a report that shows the price and amenities of recently sold homes comparable to a subject home. The sold prices, known as comps, can help home sellers or home buyers determine how much a home is worth in the current market. Usually prepared by a real estate agent, REALTOR®, or appraiser. Earnest Money: Monies paid by the buyer and held by the Broker or title company in a trust or escrow account. The amount is reflected on the sales contract. Showing: Appointment made by the real estate agent working with a home buyer, so they can preview the home with the buyer. Home Inspection: Examination of and written report noting a home’s condition. It is performed by a qualified home inspector selected by the buyer. Lock box: Locked key-holding device placed on a home for sale. 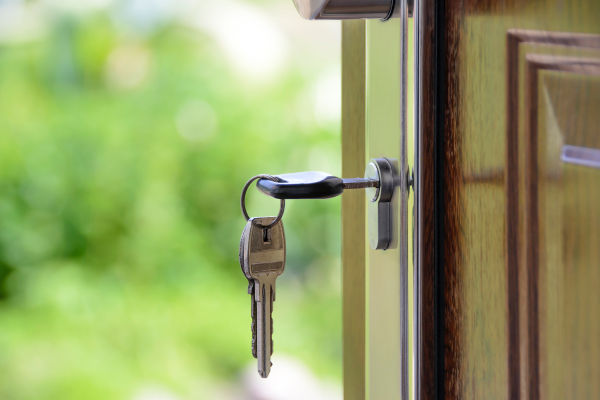 Real estate professionals access the key to a home for showings after obtaining permission from the listing agent. Multiple Listing Service: A online site, commonly referred to as MLS, that only real estate professionals have access to. Homes for sale are listed here by agents. Agents use it daily to find homes for buyers. Via agreement, homes on the MLS may be found on websites like Realtor.com, and others. I hope you found this helpful. I have expertise in representing first-time homebuyers in the Chicagoland area. Making the right decisions for your first home purchase can establish your long-term security and prosperity. Please reach out for trusted, patient, guidance. Homesnap is great for buyers and sellers! Most likely you have heard of, and may even use, REALTOR.com, Zillow, or another home search mobile app to find information about homes for sale in your area. These commonly-known tools certainly have their purpose when you are searching for your next potential home, or monitoring home sales. There’s a ‘new app in town’! It is similar, but different in many exciting ways to other home search apps. It’s called HomeSnap, and unlike Zillow and REALTOR.com, you can ‘snap’ a picture of a home you are in front of with your phone and receive real-time data about it. You and I can connect so easily via the app. It offers chat, messaging, and sharing of property info in (well), a ‘snap’! If you find a home that’s not on the market but you are curious about it, simply take a pic and send it to me via the app. Once we are connected, I provide weekly reports for certain areas that interest you. These emailed reports include all active, pending and sold homes in an easy to digest format, all right on your phone! It’s a breeze to get the app for you iPhone or android. Visit my HomeSnap Profile and simply download the app to get started. So… you are ready to buy or sell a home and not sure if you should go it alone, or bring on a professional real estate agent to assist you? As a REALTOR®, I’ve had this conversation with many clients. The MLS is the most up-to-date database of all homes for sale. Having your home listed on the MLS is also important because the thousands of agents in that same MLS have exclusive access to your home’s information. The MLS is their go-to, daily resource for finding homes for their buyers. You need to reach as many potential buyers as possible. For sale by owner listings do not get as much online exposure a home in the MLS does. Great online and offline marketing ensures that your home gets noticed by buyers that are searching for the amenities your home has to offer. Taking quality photos, promoting your home’s best features, and tapping into a variety of marketing avenues takes time and energy. Also, networking and word-of-mouth is still very powerful. Real state pros network all day, every day. Realtor.com, a top home search site on the web, only advertises the homes listed on agent-access only MLS. It’s inevitable you will have questions that only a knowledgeable and experienced real estate pro can answer. What a time-saver! Looking out for your best interests is what a REALTOR® does, so going to bat for you when a buyer is asking for concessions comes natural to us. Guidance comes in many forms, from helping you correctly price your home, preparing it for showings, understanding the nuances of local market conditions, to making decision during the negotiation process. Getting successfully to the closing table means relying on your REALTORS® trustworthy advice. Great communication with all parties, and follow-thru on the dozens of small (and big) tasks that accompany selling a home is crucial. You most likely have a full-time job. Can you really dedicate the time required to prepare, price, market, show, negotiate, schedule appointments, monitor, return calls, and overall keep your home sale on track? There are many more reasons why working with a pro like me makes great sense that I’d love to share with you. Let’s visit about your real estate needs soon if you are contemplating a home purchase or sale in Chicago’s northwest suburbs. Many factors can influence the housing market; these include mortgage interest rates, inflation, employment figures, and the economy. If you are planning to purchase or sell a home, it is good to know if it’s a balanced, buyer’s, or seller’s market. A balanced market means about equal supply of homes and demand for homes. Home prices increases are typically in line with the average rate of inflation. There is a 3-6 month inventory of homes (meaning it would take 3-6 months to deplete the number of homes for sale at that given time, at the current pace of home sales). Homes are most likely selling for at, or close to, list price. This is also known as a ‘soft’ real estate market and it favors those buying homes. This is due to an oversupply of homes, as more people are selling than buying. The advantage is that there is a greater variety of homes to choose from, typically at lower prices. You will notice that there are an abundance of real estate ads trying to attract buyers, and homes prices may be dropping. There is usually more than a six-month inventory of homes available. It is known as a ‘hot’ real estate market favoring those selling properties, as more people are looking to buy properties than those willing to sell. Property prices typically increase, as buyers are prepared to spend more in order to get the home that they have set their heart on. Sellers are at an advantage as their homes sell quickly, and at a higher price than the long-term average inflation rate. You may notice that real estate ads decrease; inventory levels are traditionally less than three months. What the market like right now? One way to determine if it’s a buyer’s market or a seller’s market is to look at inventory (the number of homes for sale). If inventory is low, it is most likely a seller’s market… high, then a buyer’s. Keep in mind too, that the real estate market can be influenced by the season. Typically, there are more homes for sale in June, July, and August. That means that it could be a seller’s market in the winter but a buyer’s market in the summer. Market conditions fluctuate as well based on the area. Cities with a lot of available jobs and growing industries will often be a seller’s market, while those with struggling economies most likely favors buyers. I monitor our local market conditions and have access to timely reports because of my real estate license and REALTOR® designation. I share vital info that helps you make the best home buying or selling decisions. Let’s talk soon about your home and neighborhood if you are on the fence about making a move. So, you are thinking of selling your home and are curious if home improvements can increase your bottom dollar at the closing table? When considering what projects to undertake (or if you should make improvement at all), the idea is to get a return on any investment and not sell your home at a loss. Keep in mind, the location of your home will be one of the major deciding factors on whether to undertake any remodeling. Homes in certain areas benefit from a facelift, but others may not. Here are some more key points. One of the golden rules of home ownership is to maintain your home on an annual basis to avoid larger damage and expensive repairs in the long run. Your landscaping should also be kept tidy during all seasons to ensure that trees and shrubs are always neatly trimmed, lawns are green and mowed and flower bed have a colorful display. This is the first feature of your home prospective buyers see, and first impressions count. A full kitchen replacement can cost more money than you can recoup so aim for a few minor renewals. This could be the upgrading of appliances, replacement of flooring or get a fresh new look by updating the cabinet doors. A dated bathroom for most buyers is a significant turn-off. Don’t lose hope though! A bathroom can be upgraded with a few minor changes which can even be undertaken without expert help. A fresh coat of paint and a new light fitting might be all you need. By installing a new basin and toilet you will instantly give the bathroom a facelift as will the changing of the cabinet doors and knobs. Old carpets can be replaced with a more neutral color and if there is a good wooden floor underneath you could always just skip the carpet and have the wood polished. Wherever possible just do repairs to existing broken tiles or wooden floors. By replacing old looking windows and doors you could make a big difference to your selling price. New windows seal better, offering efficient insulation. Steel front doors also are considered safer, making them an attractive feature to point out to future buyers. A battered and old garage door might also be worth replacing because it will immediately improve how your home looks. After the landscaping, this is the most visible part of your home to potential buyers. If your siding or painted exterior walls are looking dirty or unkempt you might just need to power wash them. If this is not enough then it is best to get a professional to fill in any trim or cracks and to repaint it for you. These tips should give you good food for thought. 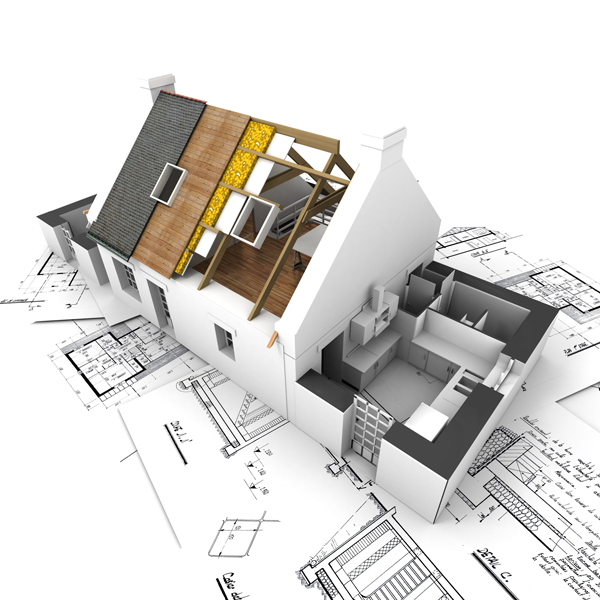 I am experienced, know how to evaluate your remodeling options before you sell, and welcome a face-to-face meeting. Think of me as your Chicago-area REALTOR® with comprehensive know-how and expertise. Contact me anytime, I answer my phone right away if possible, or return calls promptly.